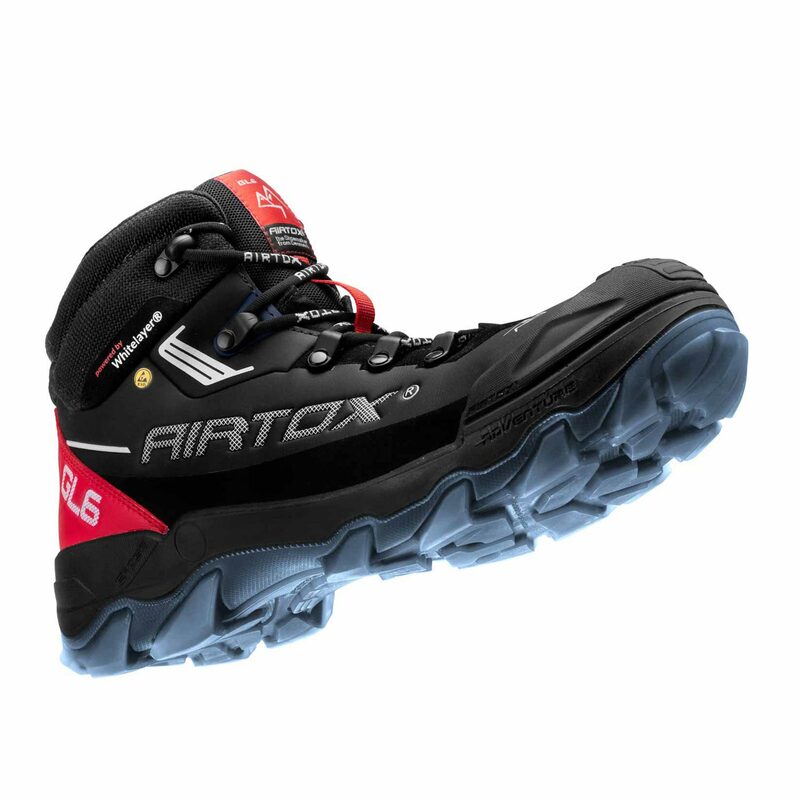 AIRTOX GL6 safety boots are a combination of cool modern design and high technology safety properties. The newest model of our G-SERIES collection – hard work collection with additional strength to the front part of shoes. 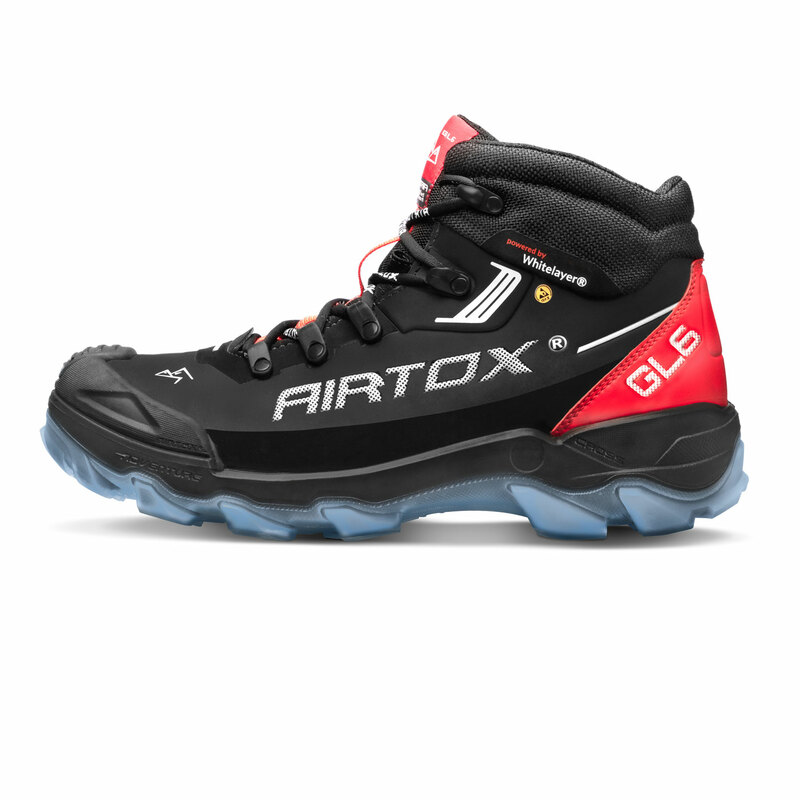 A wide ergonomic aluminum toe-cap protects your feet from heavy objects and is strong and light at the same time. 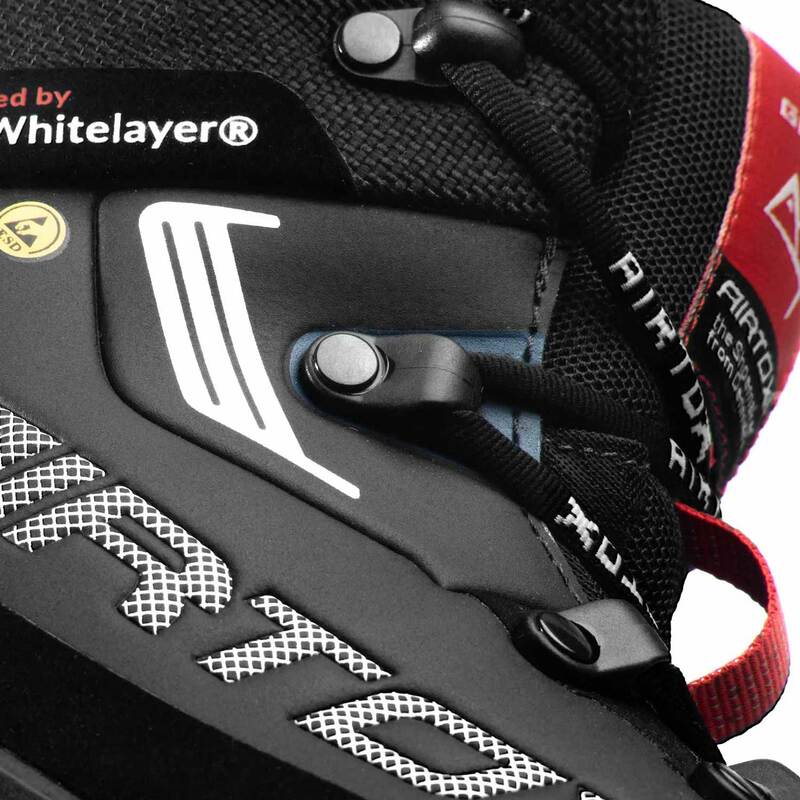 The extraordinarily light and strong WHITELAYER® anti-penetration layer will keep you safe from nails and other sharp objects while allowing the shoe to remain lightweight and flexible. 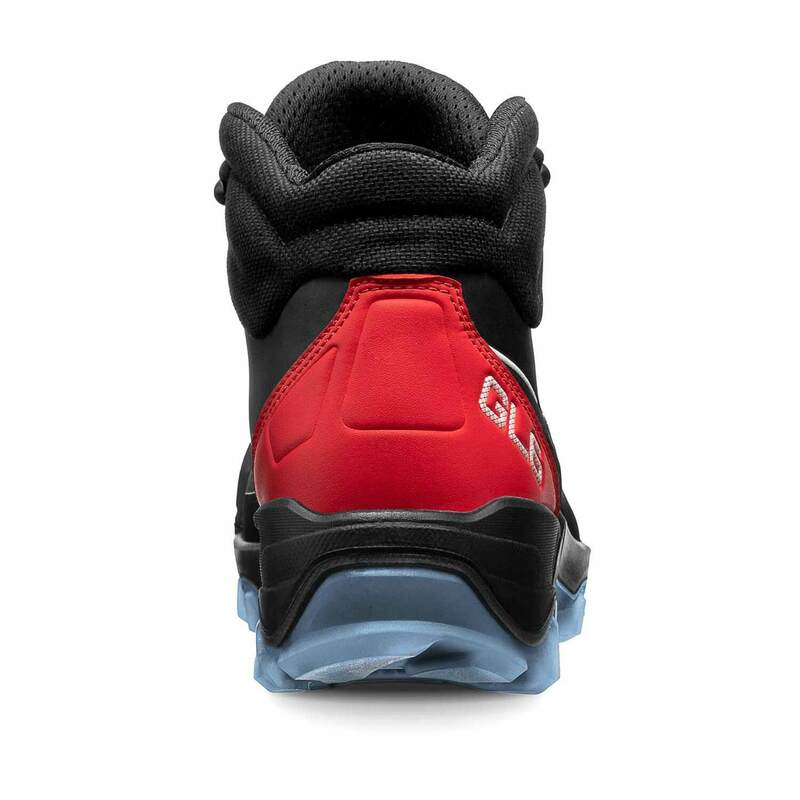 Slip resistance is provided by clear, non-marking TPU-PU outsole ensuring acid-, fuel- and heat-resistance (150o C). Upper made of lightweight microfiber. 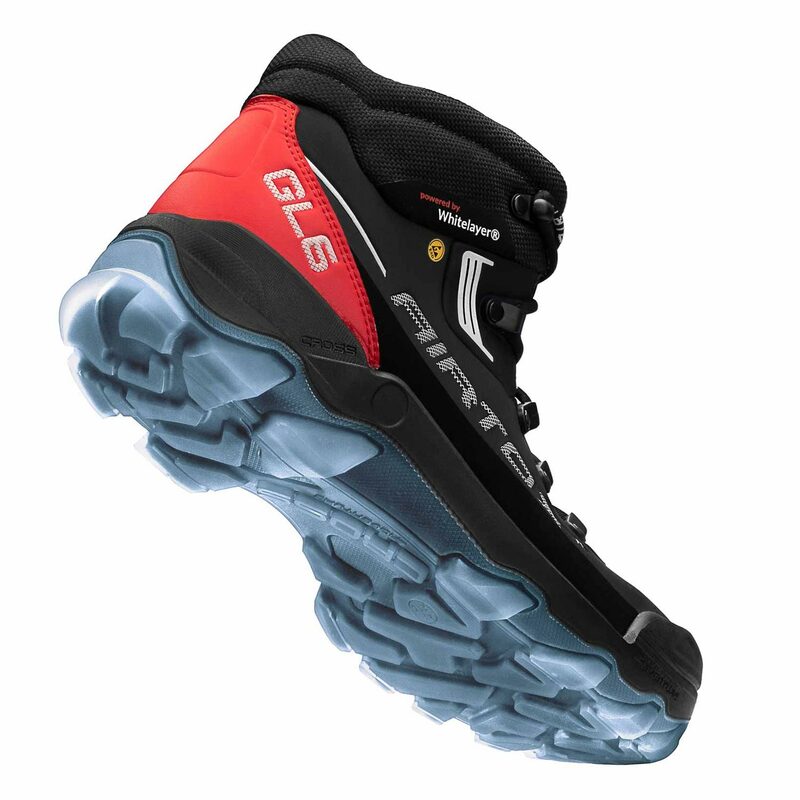 Flexible and lightweight midsole make GL6 safety boots so comfortable, that you even forget wearing safety shoes on your feet. Whatever you do and whereever you are. This model is very suitable in the construction industry with high demand to additional strenght and also greatly appreciated in the indoor flooring industry with its strong noses and clear non-marking outsole. Available in one color version: black and red with white details.